It’s the most wonderful (baking) time of the year! I adore the holidays because it gives me every excuse (like I really need one!) to bake up delicious recipes to share with my family and friends. Once the weather cools off and the days grow short, chances are pretty good that you’ll find me in the kitchen creating delicious holiday dishes that have become a tradition in my family. 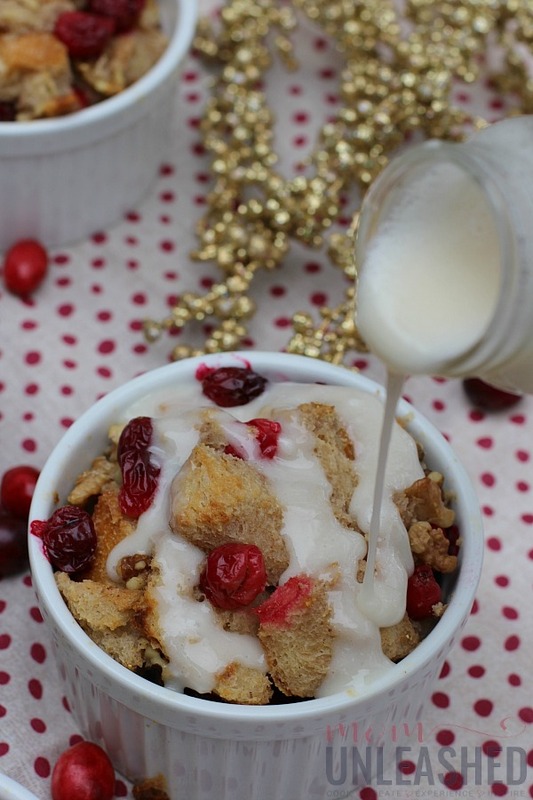 While I love baking cookies and breads and nut rolls, in my house the holidays aren’t complete until I’ve whipped up my amazing Tres Leches Cranberry and Walnut Bread Pudding. For those of you who aren’t familiar with bread pudding, it’s amazing during any time of the year but a must in our home during the holidays. 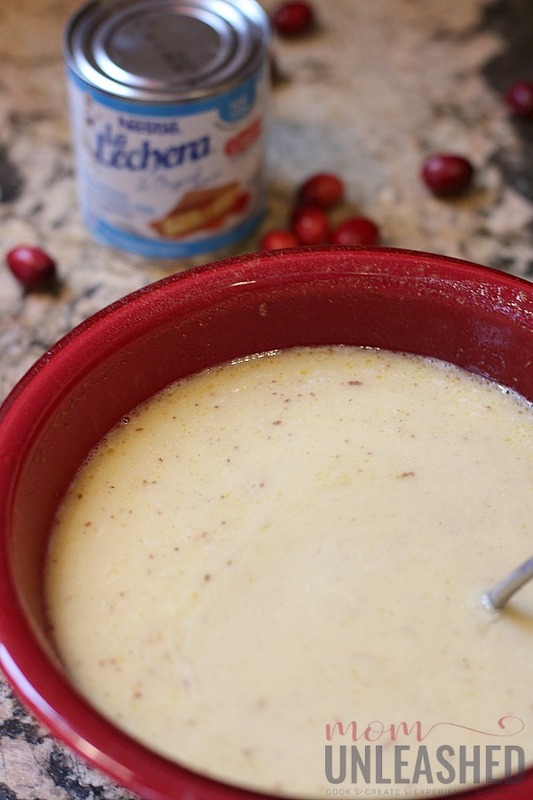 It’s just this creamy, fluffy, delicious dessert (or even breakfast) that is so comforting and when I mix in fresh cranberries and walnuts, it really is a perfect holiday dish! Over the years I’ve tried a variety of bread pudding recipes and through trial and error I’ve discovered that to truly make the best bread pudding, you need NESTLÉ® LA LECHERA® Sweetened Condensed Milk. Available in the baking aisle at Publix in both 14 ounce cans and an 11.8 ounce squeeze bottle option (be on the lookout for its new packaging), LA LECHERA Sweetened Condensed Milk has authentic flavor and just the right amount of sweetness to really take my bread pudding recipe to the next level. Plus, since you can save $0.75 when you purchase two LA LECHERA products at Publix –now through 12/16/18, it’s the perfect holiday ingredient to really make recipes shine. 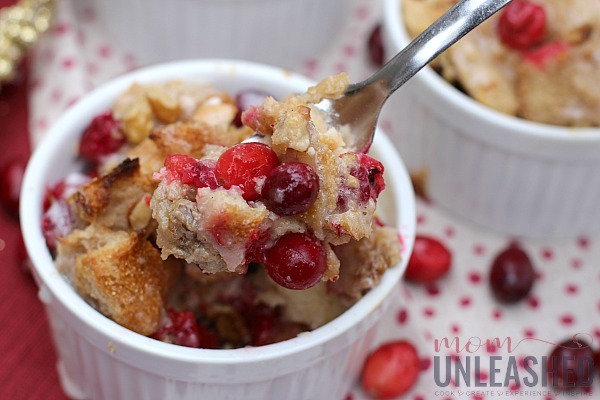 Let me show you how it makes my Tres Leches Cranberry and Walnut Bread Pudding absolutely drool-worthy! 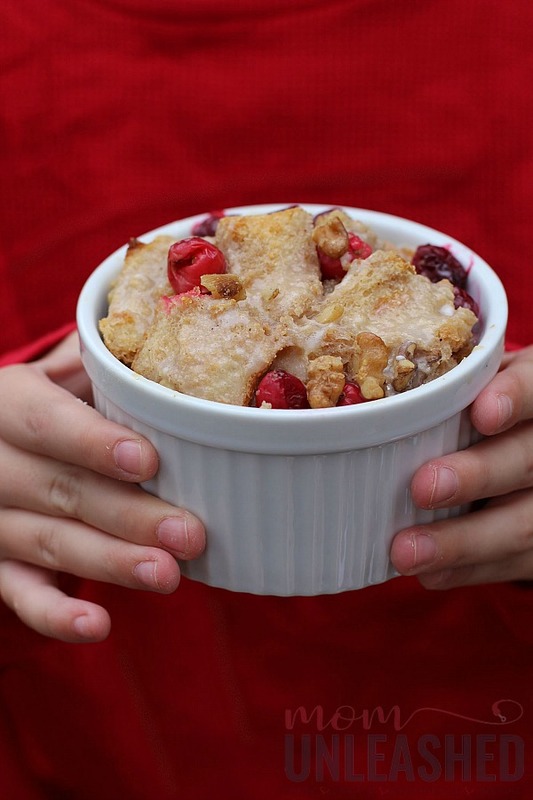 This delicious Cranberry and Walnut Bread Pudding is a perfect holiday dish that's sweet and tangy and above all delicious! 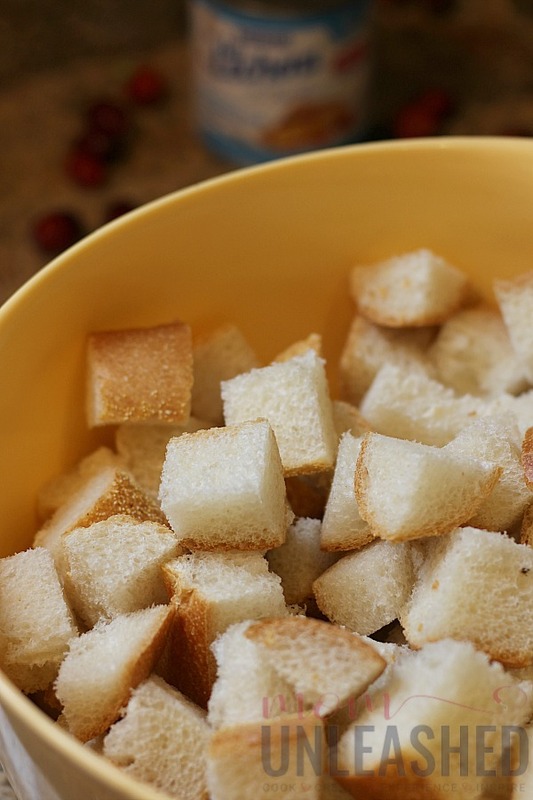 Cut the French bread into cubes and place them in a bowl. Beat the egg yolks in a dish and then mix in the LA LECHERA Sweetened Condensed Milk, evaporated milk, whole milk cinnamon, nutmeg and vanilla and combine well. 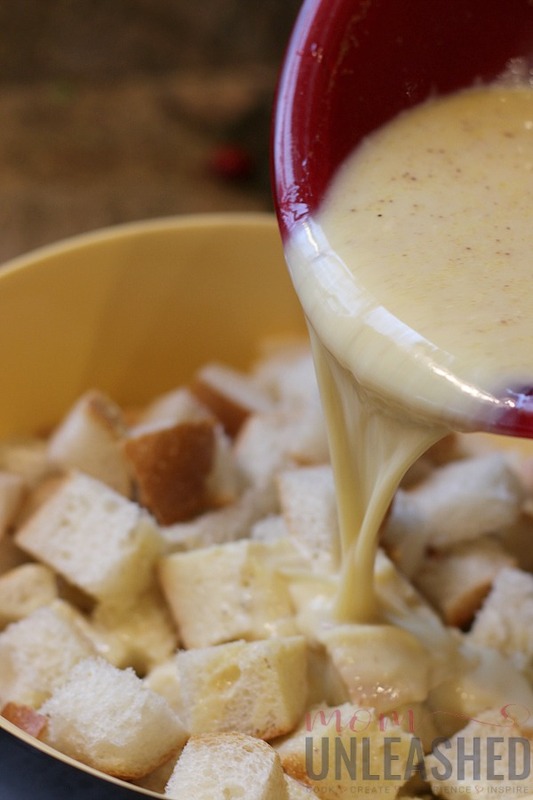 Pour the liquid mixture over the top of the bread crumbs and mix gently until all bread is covered. Set for fifteen minutes. 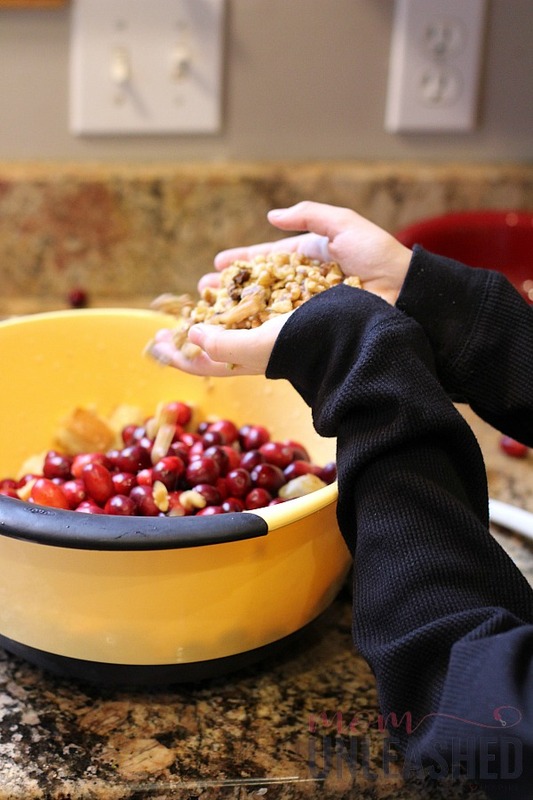 Pour in the cranberries and walnuts and combine well. Transfer the mixture into 10 greased 6-inch ramekins coated with cooking spray. Cook at 350 degrees Fahrenheit for 30 minutes. 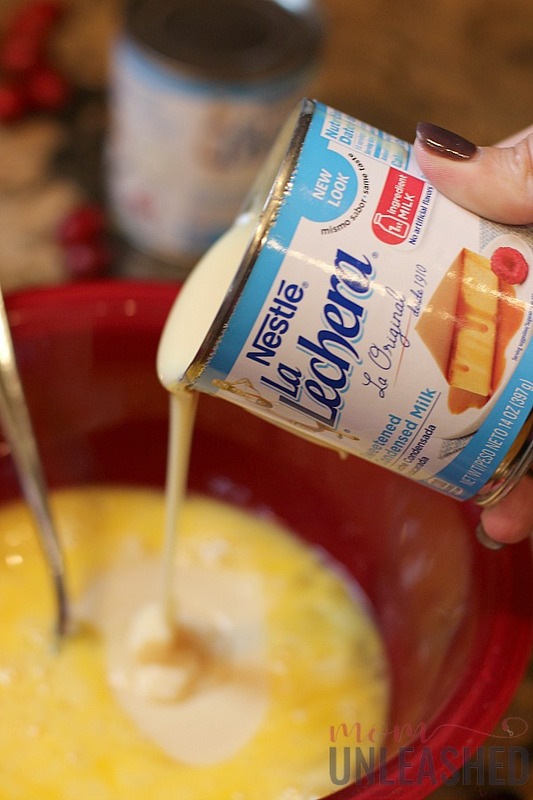 Whisk together the remaining LA LECHERA Sweetened Condensed Milk, milk, evaporated milk and Confectioner's sugar and drizzle over the top of the bread pudding. Sprinkle remaining walnuts over the top. 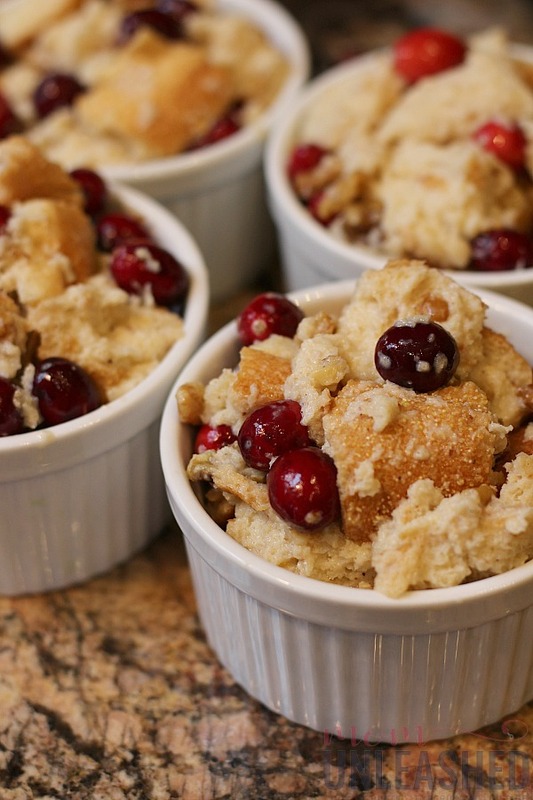 To start this creamy and delicious Tres Leches Cranberry and Walnut Bread Pudding, I grabbed a loaf of fresh french bread and cut it into cubes. Once my bread was prepared, it was time to make the Tres Leches (or three milk) sauce to pour over it. 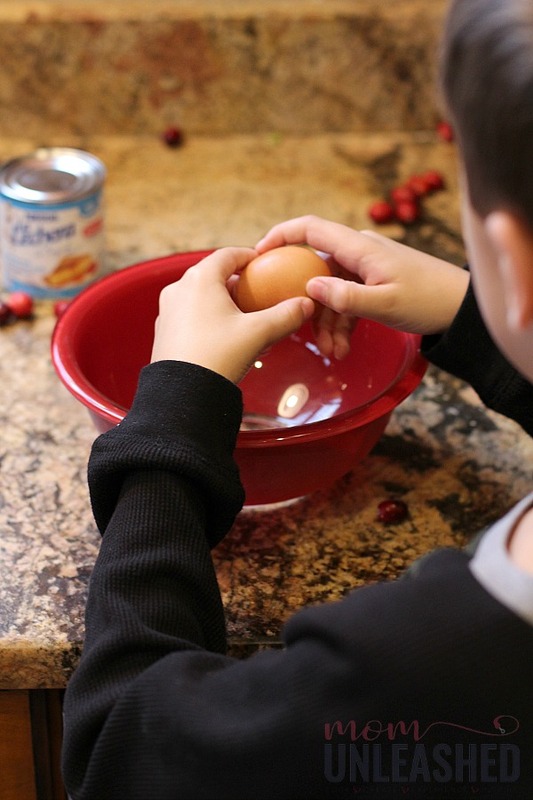 Cooking is a family affair in my home so I called my youngest to the kitchen and let him add the egg yolks to a bowl. Then I poured in my can of LA LECHERA Sweetened Condensed Milk along with the evaporated milk, whole milk, cinnamon, nutmeg and vanilla. I whisked all my ingredients together until they were a smooth consistency. Then I simply poured my liquid mixture over my bread cubes and stirred them gently so that every piece of bread was soaked in the Tres Leches mixture. 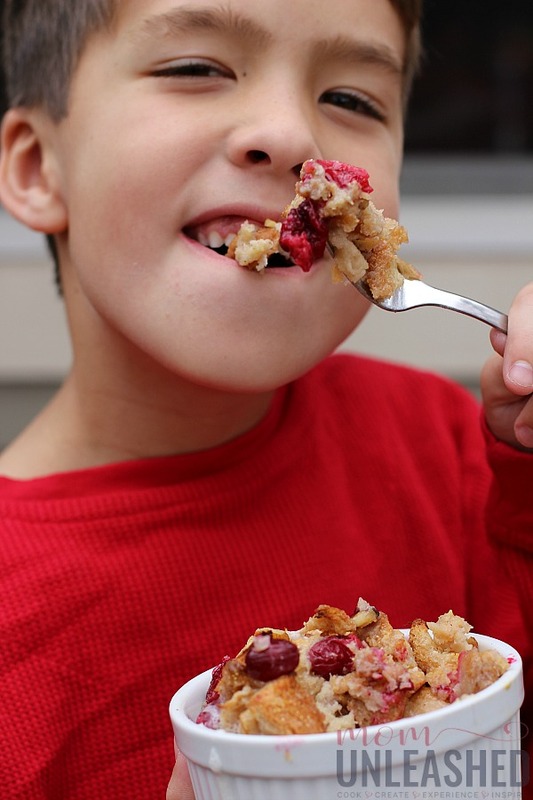 I allowed my bread to set for about fifteen minutes to really soak in the liquid before my little guy and I added the cranberries and walnuts to the mixture and stirred it all together. We immediately transferred the Tres Leches Cranberry and Walnut Bread Pudding made with LA LECHERA Sweetened Condensed Milk to our six inch ramekins, dividing the mixture evenly between ten ramekins. Into the oven they went on 350 degrees Fahrenheit for thirty minutes, just long enough for the bread to turn golden brown on the top (when your bread pudding is done, a toothpick inserted in the middle should come out clean). As soon as the Tres Leches Cranberry and Walnut Bread Pudding was cooked to perfection, I removed it from the oven and mixed together my LA LECHERA Sweeten Condensed Milk, evaporated milk, whole milk and confectioners’ sugar for the sauce. Then I simply poured the mixture over the top of each ramekin. After sprinkling on a few walnut pieces to complete the dish, my Tres Leches Cranberry and Walnut Bread Pudding was ready to be served. 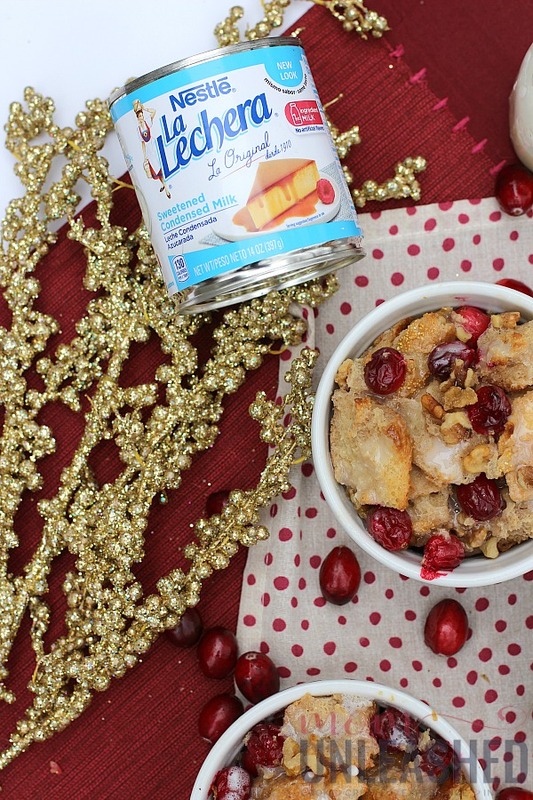 With the authentic flavor and sweetness of LA LECHERA Sweetened Condensed Milk soaked into every piece of bread paired with the tartness of the cranberries and the crunch of the walnuts, this is a dish that delivers big when it comes to holiday flavor. I simply adore how using the LA LECHERA Sweetened Condensed Milk as part of the Tres Leches sauce really adds a depth of flavor that makes this dish a holiday classic. 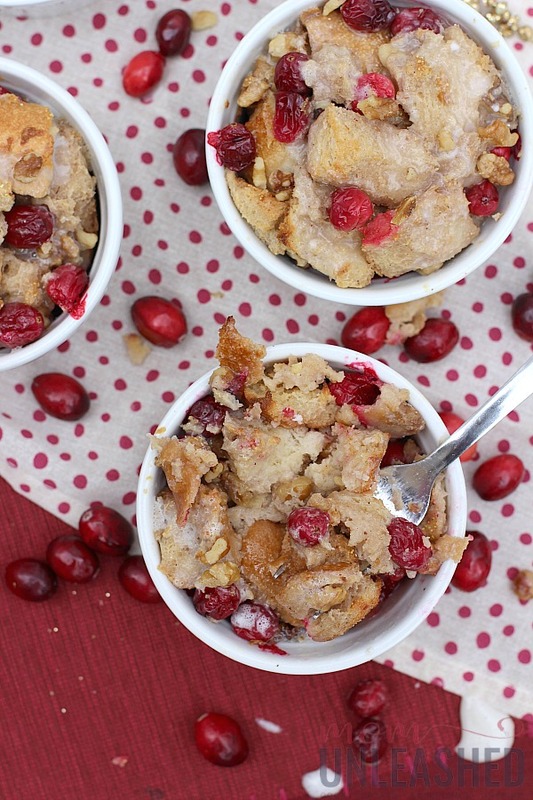 While as the cook, I adore how easy this dish is to make, with each bite of Tres Leches Cranberry and Walnut Bread Pudding my family adores that they get layers of textures and flavors that leave them feeling festive. Now it’s your turn. 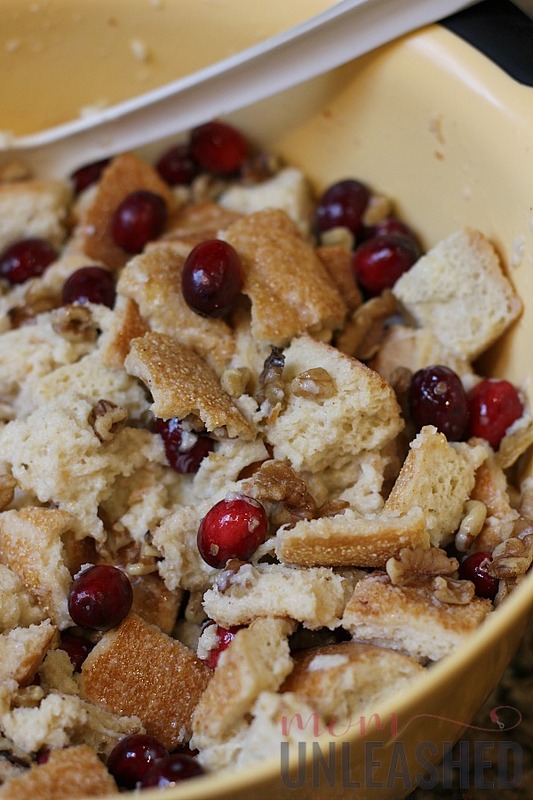 I challenge you to incorporate this Tres Leches Cranberry and Walnut Bread Pudding into your holiday traditions. I think once you’ve tried this amazingly delicious recipe, you’ll agree with me that the holidays truly aren’t complete until you’ve savored the taste of this bread pudding. But don’t stop with my recipe! For all your Sweetened Condensed Milk needs this holiday season, be sure to reach for LA LECHERA Sweetened Condensed Milk from Publix. To get started, visit www.getthesavings.com/lalechera to save $0.75 when you purchase two LA LECHERA products from Publix from 11/16/18-12/16-18. 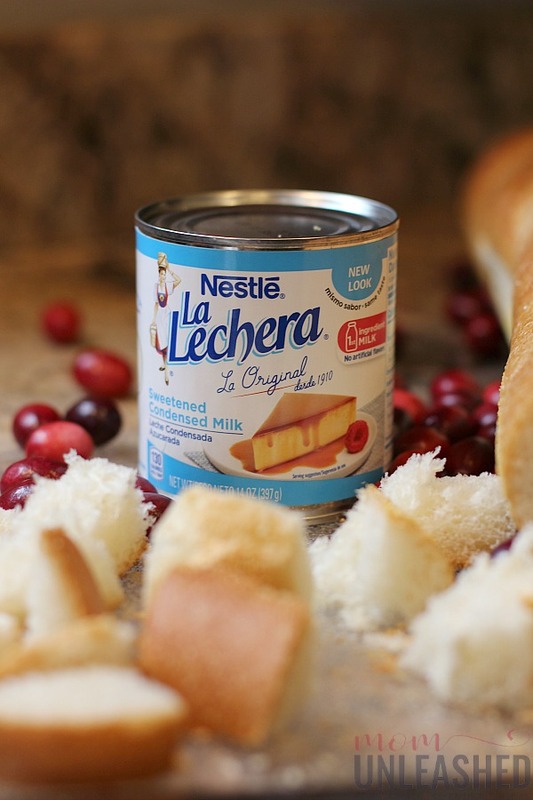 Then grab a 14 ounce can of LA LECHERA Sweetened Condensed Milk or reach for the LA LECHERA Sweetened Condensed Milk Squeeze Bottle so that you’ll know that all your favorite holiday recipes have just the right amount of sweetness and authentic taste that only LA LECHERA can deliver! 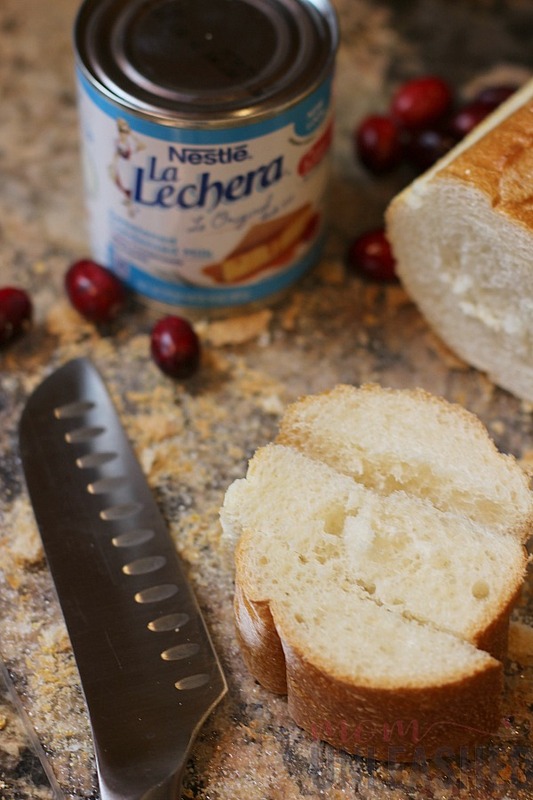 Now tell me, what’s your favorite recipe to make using LA LECHERA Sweetened Condensed Milk from Publix? Oh my! This is perfect for our holiday parties! Thanks for sharing! It looks delicious and I’ve been looking for a unique dish to make! Oh man, this is looking so delicious! I can definitely see this becoming a favorite holiday dessert. I have never had the pleasure of trying this. It looks really yummy and perfect for this baking season! Bring on the cranberries! I am so happy that they are back in season. Looks yummy! My grandma used to make bread pudding and it always reminds me of her. I’ve never tried it with cranberries and walnuts! Sounds deish! I love cranberry desserts! This looks so delicious and easy. I swear I am drooling just looking at this. I haven’t had bread pudding since I was a kid. I know, that’s sad. I need to make this. All these flavors that my whole family loves! I love how easy and delicious this dessert is! It looks so delicious! I am going to make it for our Christmas Brunch! Sooo good! This looks like the perfect Christmas dessert for our family this year. Thanks for sharing! I really want to try this! I can’t wait to taste the nutty sweetness. It will be amazing. What a yummy dish to bring to holiday parties! I admittedly have never tried bread pudding but there is no time like the present to give it a whirl!